The Sussex Martlets play wandering cricket to the highest standards and traditions of the game on some of the most picturesque and celebrated grounds in Southern England. 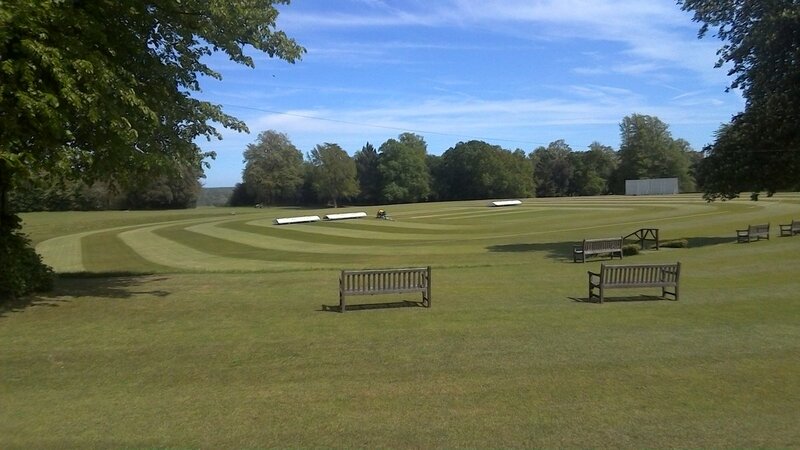 ...And the pitch at our spiritual home of Arundel could hardly look prettier. Pleased that the spring heatwave is set to continue long enough for today's match with @BC_Cricket @BriCollSport. Go well, Martlets! Sadly Sunday's fixture @Worth_Sports fell victim to a wet pitch. But things are looking sunnier (quite literally) for Thursday against @EBCSport. And the golf doesn't stop for rain. Here's a report of our recent victory at Royal Ashdown. AGM tonight! 7pm in the Long Room at Hove. Curry afterwards for a tenner. How's that for a decent Monday night? Johnny Barclay is our new patron! ICYMI, here's Johnny Barclay's fabulous tribute to Hubert Doggart - Test player, former MCC president, author, scholar, schoolmaster and Martlets vice-president. Interested in playing real tennis for The Martlets? We're aiming to reprise our team from years gone past and looking for players interested in turning out at @PetworthNT and @HomeOfCricket. Need to buy a Christmas present for a Sussex cricket fan? 'Sussex Martlets CC 1905-2016 – A Miscellany', by club historian Peter Hartland, is on sale in the Sussex Cricket Museum. But there are only a handful of copies left. Be quick! Very much looking forward to tonight's Christmas Lunch with @FACCC_Cricket and guest speaker @RobAndrew19. Arundel Castle is a glorious spot in the summer - nice to visit occasionally in the winter too. Another productive committee meeting. Rocket-fuelled by the @BillsRestaurant food in Horsham, it was all over in near record time too. The end of season dinner is on Oct 13, in the Long Room at Hove. Awards for our best batsman, best bowler, Martlet and junior of the year. Sandy Ross T20 today at St James, followed by our match at Arundel on Tuesday against former Sussex League champions @RoffeyCC.